ON SALE FRIDAY 16 JUNE AT 10AM! A STAR-STUDDED line-up will join forces for a spectacular one-off show as A Night at the Musicals comes to St David’s Hall on Sunday 29 October. 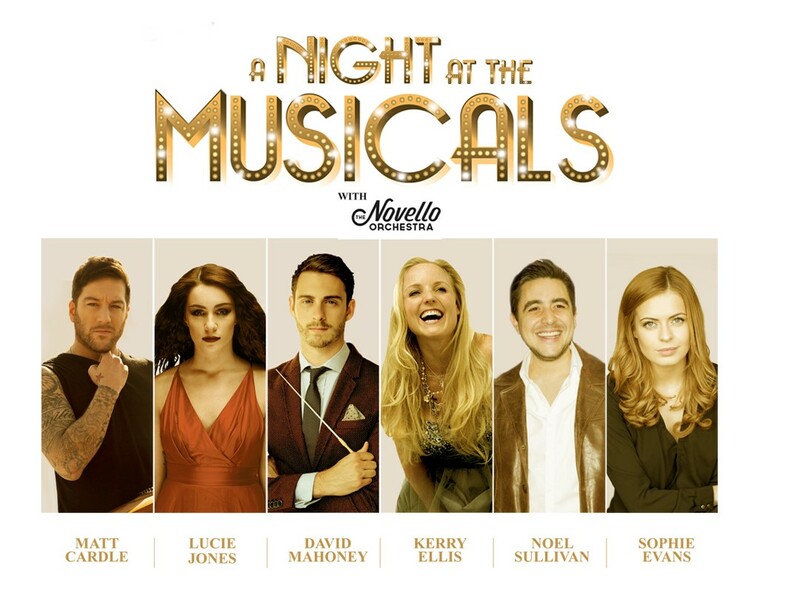 The stellar cast features West End sensation Kerry Ellis (Wicked & Les Misérables), 2010 X Factor winner Matt Cardle, and Welsh stars Noel Sullivan (Hear’Say singer & Dirty Rotten Scoundrels), Lucie Jones (Eurovision Song Contest 2017 & X Factor) and Sophie Evans (Over the Rainbow & The Wizard of Oz). Tickets are expected to be snapped up quickly, and they go on sale tomorrow (Friday 16 June) at 10am! This fun-filled family show features all your favourite songs from Wicked, Les Misérables, Chicago, Hairspray, Miss Saigon and many more – and all under the baton of Only Men Aloud’s David Mahoney. Also sharing the stage is the 25-piece Novello Orchestra, which is a name synonymous with the glitz and glamour of the musicals. They will be making their debut at the National Concert Hall of Wales having captivated audiences at the London Palladium, Royal Festival Hall and Wales Millennium Centre. Tickets are priced £31.50, £36.50 & £51.50, and limited VIP packages are £65 (plus an optional £1 postage fee). Wheelchair seats are £31.50, and under 16s are £10 off all prices (offer capped at first 50 tickets only).